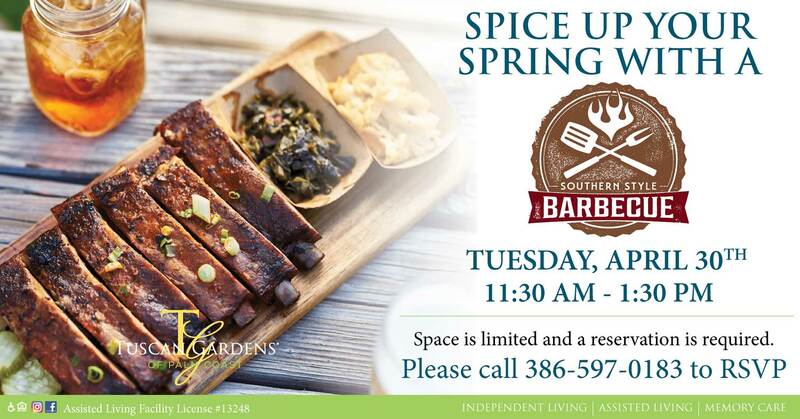 We’re firing up the smoker for a BBQ bash full of flavor at Tuscan Gardens! Chef Michael has concocted a special menu with a variety of barbecue meats and all your favorite southern sides so be sure to bring your appetite. Along with live music, fun games and spring sunshine, it’s the perfect recipe for good times with good company at Palm Coast’s newest senior living community.